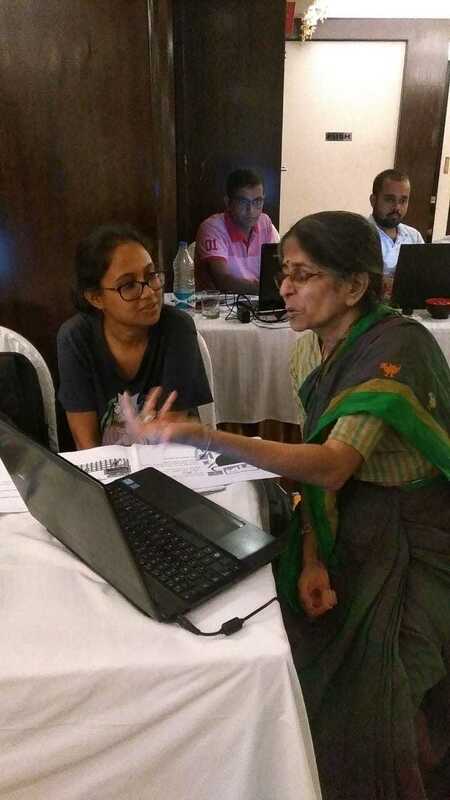 Team StoryWeaver was in Kolkata in June for our second Translation Hackathon (you can read all about our first one here). 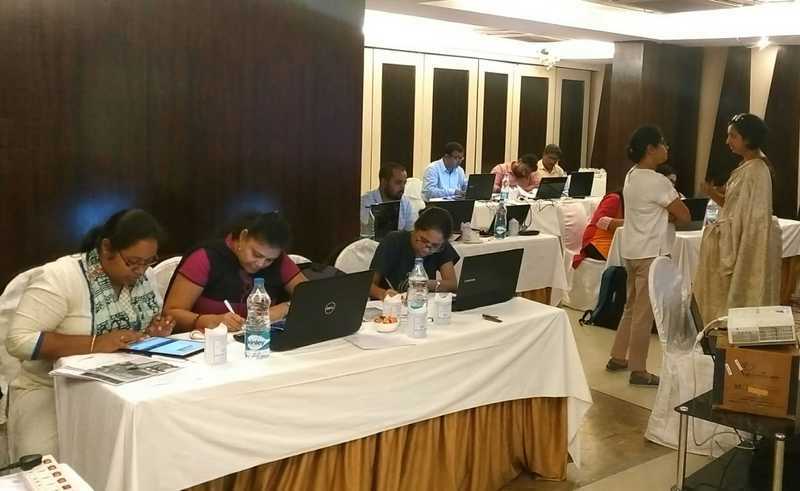 15 volunteer participants, a healthy mix of teachers and language students, came together to version more than 40 stories in Bangla over one weekend. The goal of the hackathon was to facilitate not only the translation of level 1 and 2 book to Bangla, but to also ensure peer led reviews of the translations. 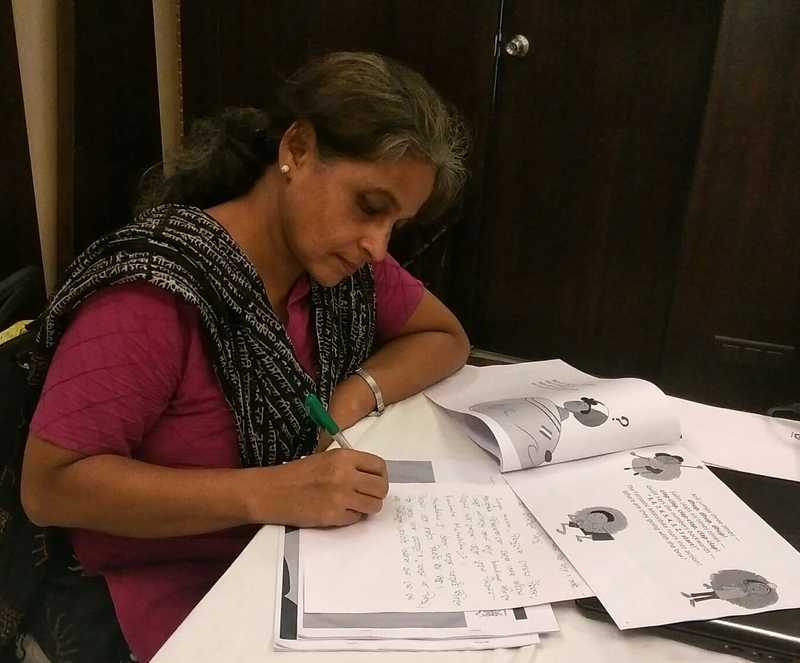 We reached out to Sudeshna Moitra, a language teacher with over 34 years to help us not only find and bring together enthusiastic participants, but to also facilitate the workshop and mentor the volunteers. Sudeshna Ma’am has written 'Banan Tanan' a tome used by many Bengali writers. 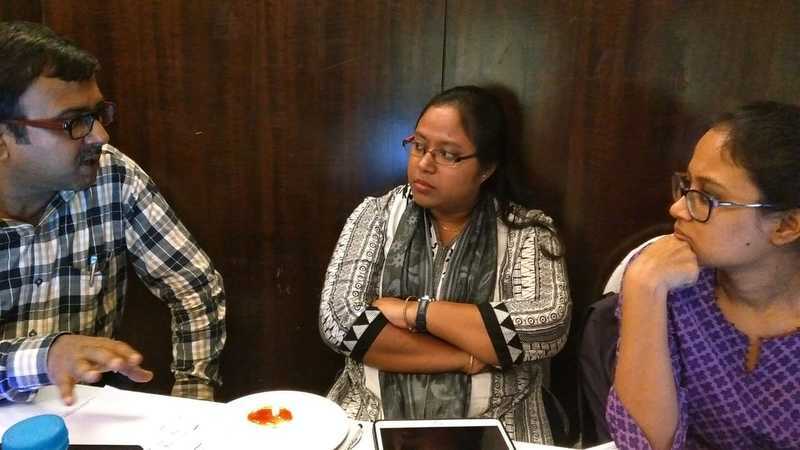 She writes for a number of Bengali blogs, and is also the editor of Sahajpath. As a resource person in Alamin Mission she organises training workshops for teacher on language teaching. The hackathon opened with a warm introduction and Sudeshna Ma’am set the agenda for the two day hackathon. Participants were familiarized with the Pratham Books mission and the power of open licenses. Rajesh Khar, Pratham Books Editor, spoke about the nuances of translating for children, levelled readers and also exposed them to the best practices followed by our team of Language Editors. Rajesh ensured that the participants - language students and teachers working with the children from underserved communities - had much clarity to the end goal of weaving quality books that were freely accessible for the last child. Sudeshna Moitra sets the agenda for the workshop. “We had curated a list of stories that we wanted to see translated through the workshop. These were level 1 and 2 stories published by Pratham Books, BookDash, ASP and the StoryWeaver community. We assigned the stories to each participant before the workshop keeping in mind their particular strengths. They were asked to read each story a few times to familiarise themselves with the story and it’s nuances. But the idea was for also for them to tap into the collective learnings and energy of the group to weave their translations.” shared Amna Singh, Associate Language Editor, Pratham Books. One of the participants, Suman Das, a Head Master Of Chalitatali Prathamik Vidyalaya of Nadia said that once the clock started ticking the participants gathered speed and completed half their allotted books before lunch. Once they had translated the stories Sudeshna Ma’am reviewed each and every story with some receiving a green signal to publish. After lunch, a discussion on the need for level appropriate words in translation was had. “Some of us, including myself used some words which weren't appropriate for the age group the stories were intended for.” shared the Head Master. The next day, peer led review of stories lead to new words being included, some that were more soothing to the ear. The hackathon was a lively space for discussion and debate: how to make translations child-friendly, keeping the words level-appropriate, importing cultural references (or not) while translating a story. This lead us to understand that a handy glossary of examples demonstrating Pratham Books’ editorial stance on translation for the last child would be helpful at our next hackathon. It was also wonderful to see participants use robust local language keyboards which we documented to see if we could integrate the libraries into StoryWeaver. 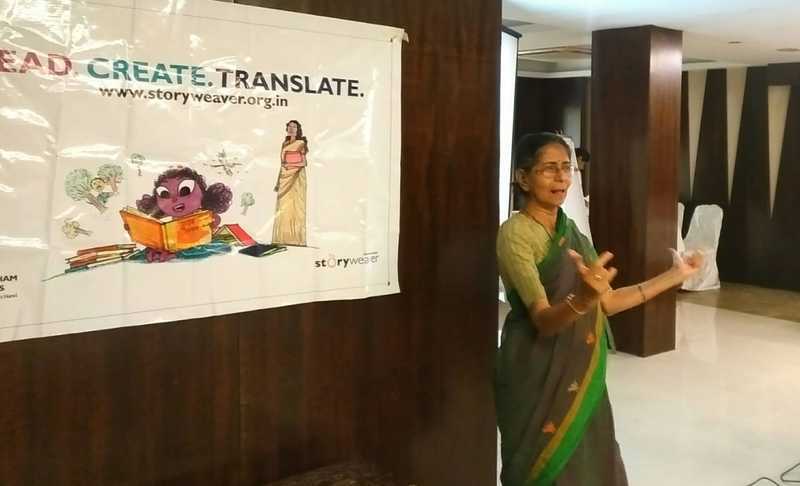 “The workshop has provided a platform among teachers, students and translators to translate great stories in vernacular; now more children will access these stories.” Sudeshna Ma’am shared at the end of the workshop. Participants left with plans to take StoryWeaver to their respective schools and we have already heard back from Subimal Pramanik, Assistant Primary Teacher of Swarupnagar North 24 pargonas about this. We’re also very excited about a the StoryWeaver workshop that Suman Das will be conducting for 17 primary teachers from 12 schools in the Nadia district on 5th August. Everything just came together so well over the weekend – the hunger for good stories, the energy of the language students, the wisdom of the teachers, their shared passion for Bangla. We can’t wait for our next hackathon! You can read all the stories translated at the hackathon here. Over the last couple of years, our team at Pratham Books has been focussing on creating simple and engaging picture books that explore STEM (Science, Technology, Engineering and Math) concepts. There is a dearth of interesting information books for early readers in India - especially across Indian languages – and we have actively been trying to bridge that gap. Within two years, we have created around 300 multilingual STEM books (available for free on www.storyweaver.org.in), and also set up STEM libraries around the country. 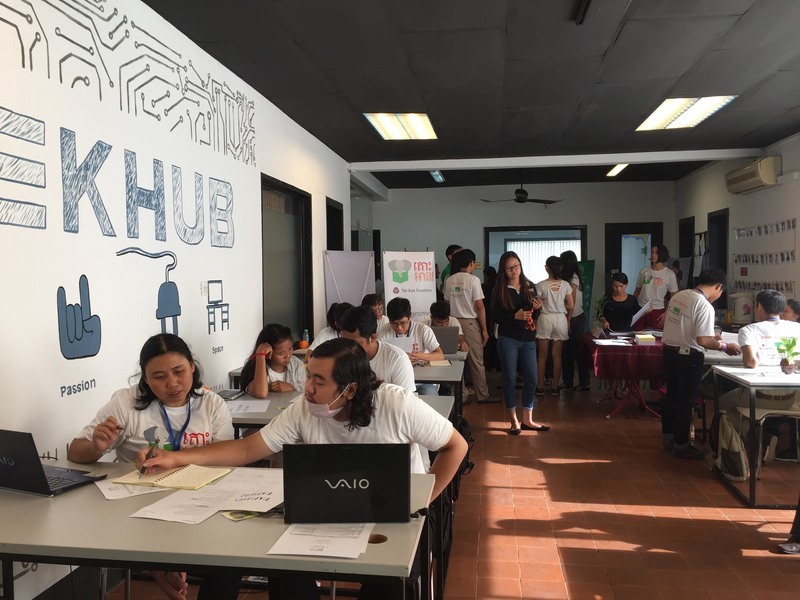 Having had such a strong focus on STEM, we were delighted to be invited by The Asia Foundation to participate in their e-book hackathon in Phnom Penh, Cambodia, which was aimed at creating openly-licensed STEM books in their local language. 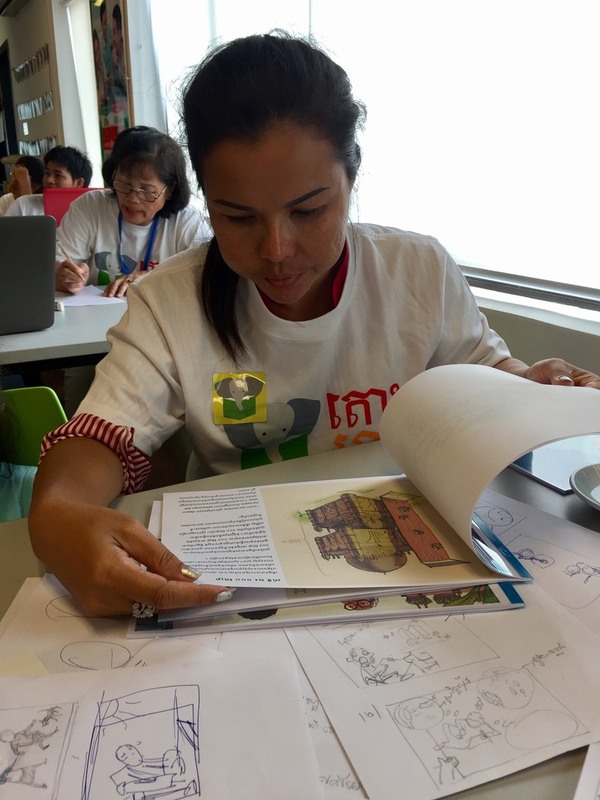 Like in India, there are very few children’s books in Cambodia that explore STEM topics imaginatively, and the hackathon was a step towards reducing that gap. Over two days (Aug 19-20, 2017), several local writers, illustrators and designers collaborated to make picture books that were centred around STEM topics. The ‘Let’s Read E-book Hackathon’ was also an attempt at identifying young professionals in the publishing sector, and nurturing their skills. My role, as an editor from Pratham Books, was to offer editorial guidance over the 2-day event. I got the opportunity to discuss some of the key observations that we had made at Pratham Books while creating STEM-based picture books. In essence: what are the crucial things to bear in mind while creating STEM books for early readers, and what works. 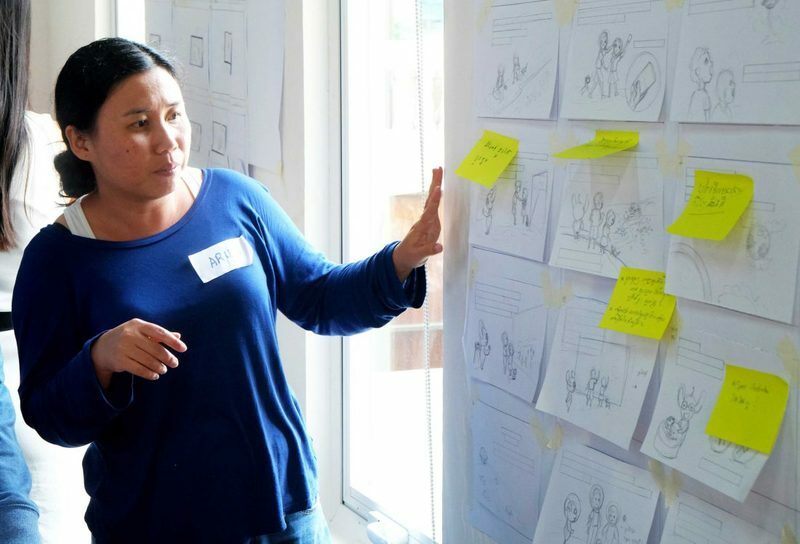 Here's what Melody Zavala (Director, Books for Asia) said about the hackathon, "The Asia Foundation uses 'e-book hackathons' to drastically reduce the time and resources needed to produce beautiful, illustrated children’s books on topics missing from the commercial market. We were thrilled to draw on Pratham Books’ experience with STEM titles. In Cambodia, only 3 percent of university students choose to study STEM subjects, according to the Ministry of Education, Youth & Sport. We hope this can be changed by stimulating interest at a young age through fun storybooks." It was fascinating to watch writers and illustrators work so closely, constanly exchanging ideas and refining the narrative as they progressed. We watched as illustrators brought characters to life, developed storyboards along with their writers, and sketched eye-catching book covers. While the foundations of the book were being laid out, many fundamental questions were tossed around, which eventually helped each story evolve: Is the the title too revealing? Did the perspective of each illustration make sense? Is the illustration merely reflecting the text, or is there scope for additional detail? Interacting with an enthusiastic group of writers, editors, illustrators and designers gave me plenty of time to reflect on the entire book-creation process, and I returned home feeling rather inspired and rejuvenated. Helping create simple and fun STEM books at Pratham Books has been both challenging and full of discovery, so it was gratifying to be able to share those experiences with others who are also trying to make reading more inclusive. It was also heartening to see some of the Pratham Books titles being distributed at the event and that too, in their local language! The Asia Foundation team had translated several of our titles into Khmer. As a multilingual publisher, nothing gives us more joy! The 8 local-language books that were created during the 2-day Hackathon will soon be available for free on Let’s Read! - a digital platform that empowers underserved communities in Asia to build digital libraries in their own languages. You can read more about the STEM hackathon here. This post was written by Yamini, a Consultant Editor at Pratham Books who represented Pratham Books at the 'Let's Read! 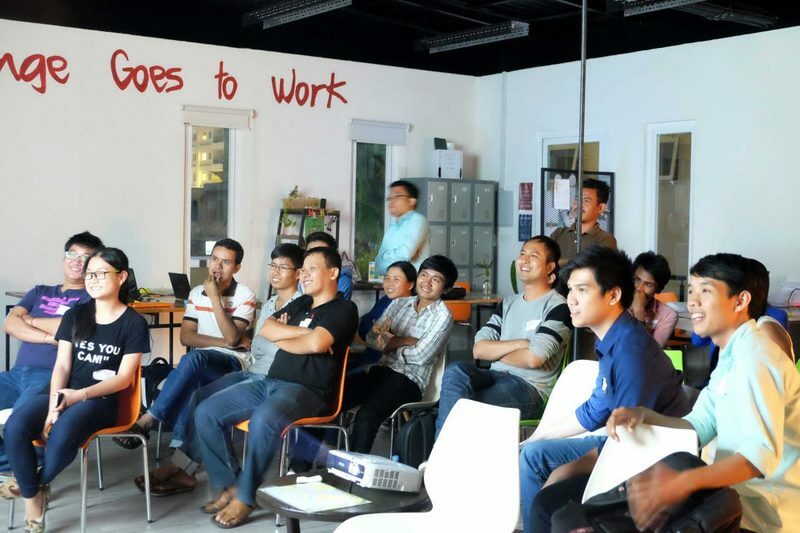 E-book Hackathon' in Cambodia. by Elita Ouk. Photographs by Wendy Rockett. Elita is a consultant for The Asia Foundation in Cambodia and Wendy Rockett is the Foundation’s Books for Asia senior communications manager. The views and opinions expressed here are those of the author and not those of The Asia Foundation or its funders. This post was originally published in The Asia Foundation’s In Asia blog here. 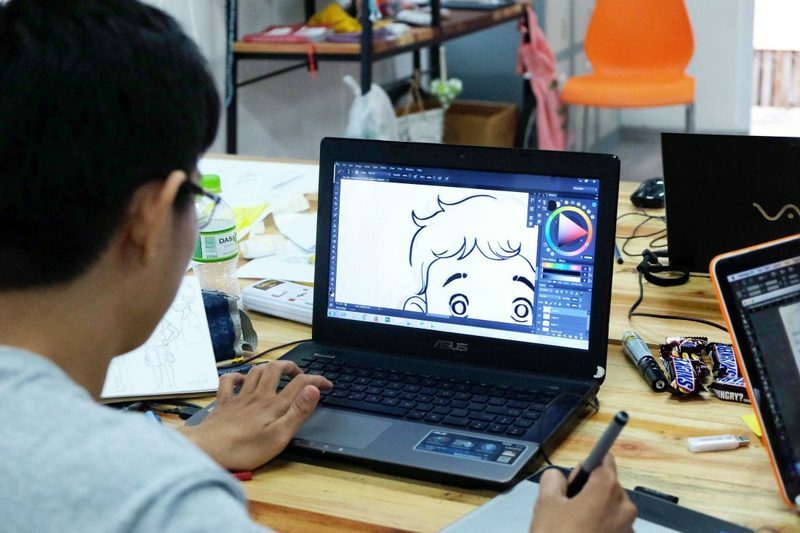 On September 18, nearly 20 publishers, editors, writers, and young technologists, ready with pencils and laptops, filled a co-working space in Cambodia’s capital, Phnom Penh, for the country’s first children’s e-book hackathon. The hackathon is part of Let’s Read! an Asia Foundation initiative that applies technology interventions to stimulate reading in developing Asian countries. 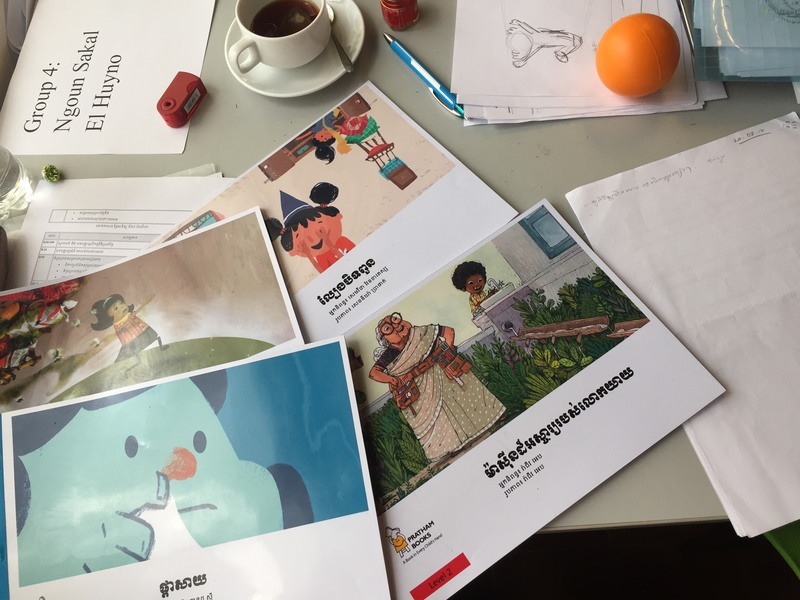 By the end of the day, participants had created a series of engaging, original children’s content in electronic format, all in the Khmer language. According to a 2015 Asia Foundation research study, 40 percent of Cambodian phone users own at least one smartphone, and a third of the population has access to the internet. Such increased access to technology is also opening up new opportunities for educational material to reach parents, teachers, and children, and helping to formulate a new way of publishing children’s content. 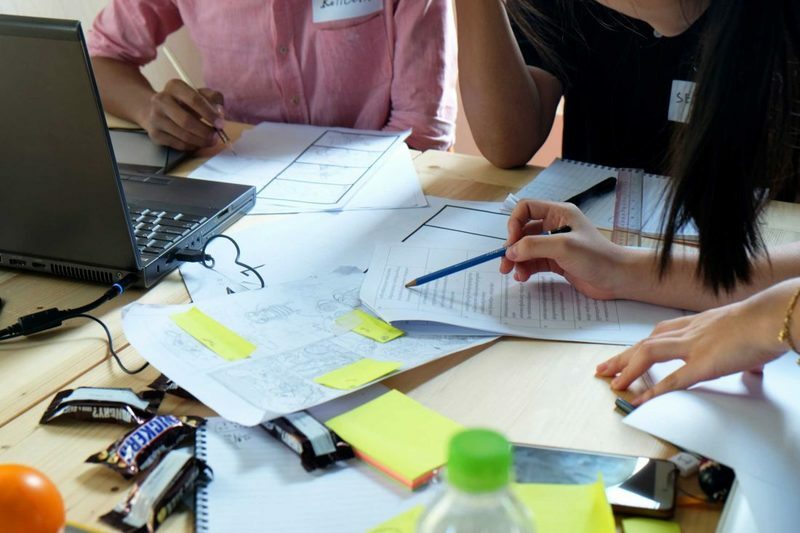 Hackathon participants were divided into teams, each with a writer, illustrator, designer, and coder. An editor and children’s book experts from Room to Read guided the teams through the process, from conception to detailed storyboards and finished covers. The teams spent most of the day refining the stories, with writers working closely with the editor to strengthen the narrative and sharpen the language, while illustrators continually refined storyboard drawings and cover art to make sure they were compelling to children. For most of the writers and illustrators, the hackathon was the first time they had ever worked directly with each other in real time. In 11 action-packed hours, the teams produced four stories that were further refined after the event: Big-Eyed Bee, the story of an adventurous and clever bee; Prach and Sathae, a tale of two boys who learn to resolve their differences; The Amazing Journey, the travels of a boy and girl with an intrepid alien; and The Storybook Princess, which captures the magic of storytime. The Let’s Read! 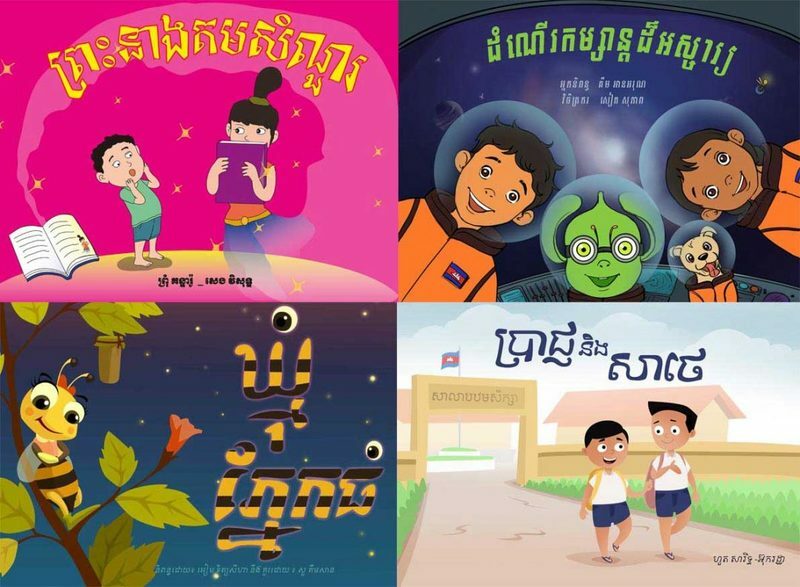 books will be freely available from the Ministry of Education’s Open Education Resource site, as well as through digital library apps such as Khmer LEARN for anyone to download, read, and adapt for their own use. The books will also be offered in e-pub and print-ready formats. 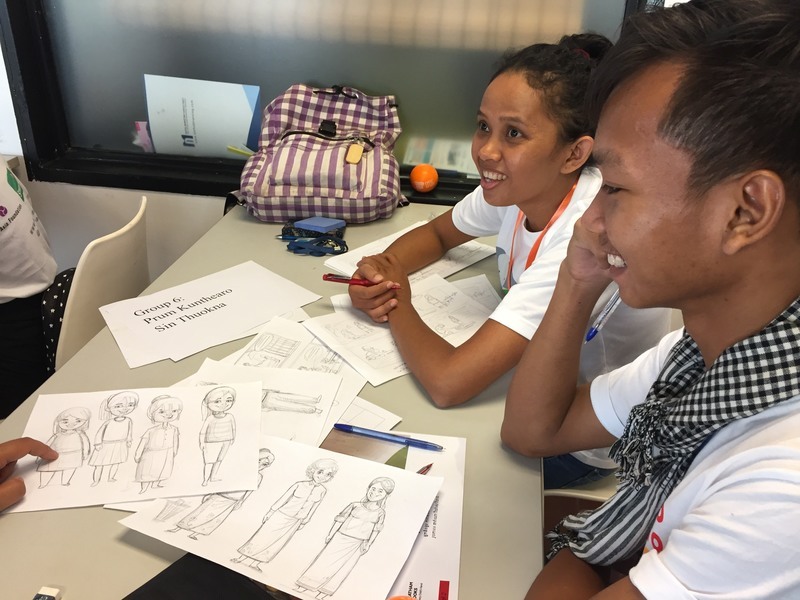 With the support of Smart Axiata, one of Cambodia’s leading telecom companies, the next hackathon in March 2017 will incubate even more publishing talent and further expand the quality and diversity of local children’s books. Read more about Let’s Read! You can follow The Asia Foundation on Twitter and Facebook.